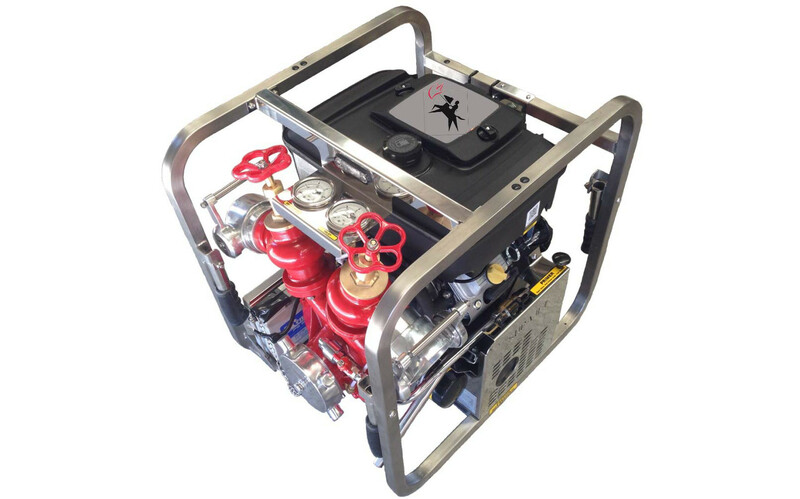 The Angus LWA500 Mk3 pump is a light weight portable fire or industrial pump that combines the benefits of high pressure fire fighting performance with an extremely compact design that will fit most fire tender lockers and leave room for a second pump or a Positive Pressure Fan. The unit is designed to be easily carried by two people and operated by one. Electric start and exhaust ejector priming (rotary vane primer as an option) mean the pump can be put into service quickly and easily in an emergency situation. Typical flows range from 400 l/min at 8 bar delivery to over 1,200 l/min at 2 bar (100mm suction hose). The LWA500 Mk3 uses the internationally renowned Briggs & Stratton “VANGUARD” 13.4 kW (18hp) air-cooled petrol engine for lightness and reliability. The V twin, overhead valve configuration, reduces vibration and provides excellent economy. All Briggs & Stratton engines meet all major emission standards world wide. 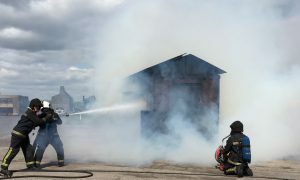 Angus fire pumps use robust cast pump casings which allow the use of substantial input pressures from hydrants or relay pumps without damaging the pump; a feature generally not available with lower specification pumps.